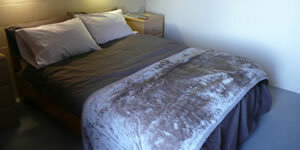 Merrijig lodge is located at 26 Stirling Road, Mt Buller village, on the corner of Chamois Road, less than 10 minutes walk from the centre of the village. Mt Buller is the most accessible major alpine resort in Australia, being the closest one to any international airport in Australia. A three hour drive from Melbourne and you are in a serene mountain atmosphere where you can get away from the hustle and bustle of the city, and enjoy nature at it’s best. 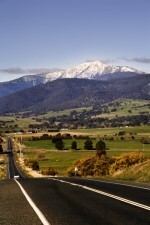 View Merrijig, Mt Buller and the mountain in Google Maps. Merrijig has a free village shuttle bus stop directly across Chamois road from the lodge, allowing you to easily get to and from the village, which is especially convenient when carrying ski gear or travelling with kids. The shuttle bus runs throughout winter from 8am to 6pm, and until midnight on Saturdays. The Mt Buller village map here shows Merrijig lodge (#131) and the convenient village shuttle bus stop (#3) across the road. Convenient 4WD taxis can get you to wherever you want in the village, whatever the conditions. 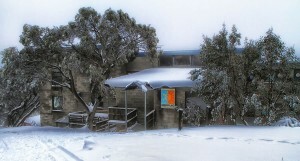 It is easy and pleasant walking around Mt Buller village, and the centre of the village is less than 10 minutes walk from the lodge. 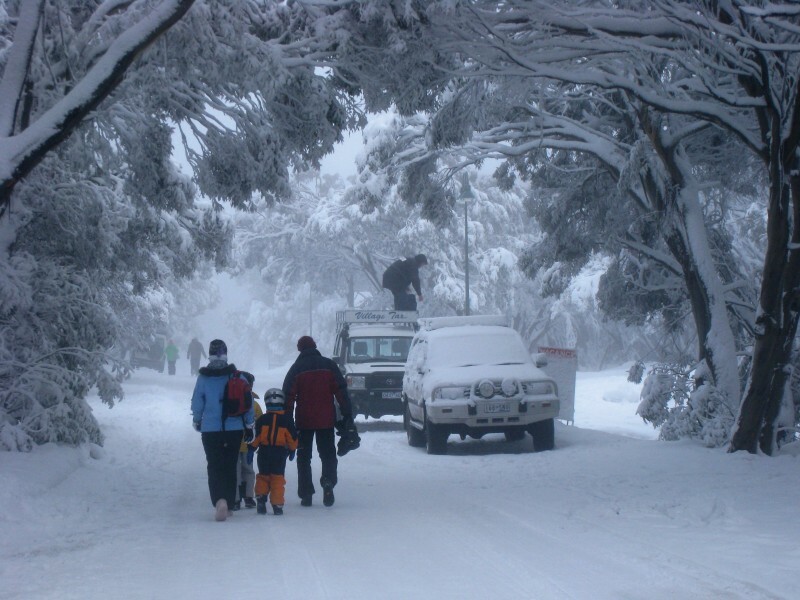 In summer you can walk, cycle or drive all around Mt Buller village as you please (it is only winter when car usage is restricted). When it’s time to hit the slopes, you have a few options. The Canyon Trail is a lesser known locals tip and is accessed below the top of Chamois Lift just below the first buildings on skiers right of Chamois Run. If you ski along the trail you will see the two rope tows that take you through to Standard run. 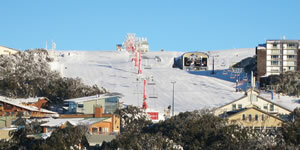 See the Mt Buller (Southern Slopes) Trail Map for further details. 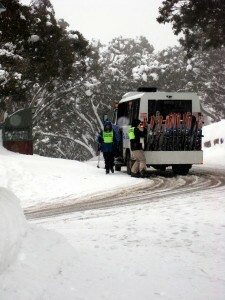 In winter, cars are restricted on Mt Buller, so most people drive and park in the mountain carparks (1.5km below the village) and catch 4WD drive taxis to Merrijig, or use the bus system from Melbourne, Mansfield, or Mirimbah to get to the Village Centre (from where they catch a 4WD taxi or the free village shuttle bus to Merrijig). 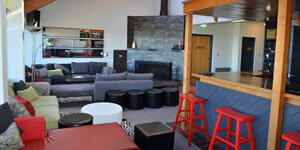 In summer, you can drive the whole way to the lodge.